petition: Tell Betsy DeVos We Won't Stand For Her Hypocrisy! Betsy DeVos and her allies in the Trump administration are proposing deep budget cuts to education funding. Currently, the proposed Trump budget proposes cutting every single dedicated literacy program. Including $27 million for literacy programs that would "develop the literacy skills of children in low-income communities." 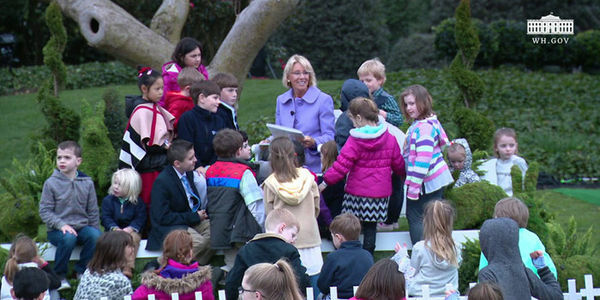 In Washington, I recently pointed out what everyone has been thinking: How can Betsy DeVos pose for photo-ops reading to children while she's proposing to cut budgets for every single literacy program? In a country where approximately TWO-THIRDS of our students are reading "below grade level," we need more funding for childhood literacy programs. Not less! Enough is enough. This hypocrisy cannot stand. I'm doing what I can to hold DeVos accountable. Will you stand with me? Join me in holding Betsy DeVos accountable. Take our pledge to say: Every child deserves the opportunity to learn how to read.